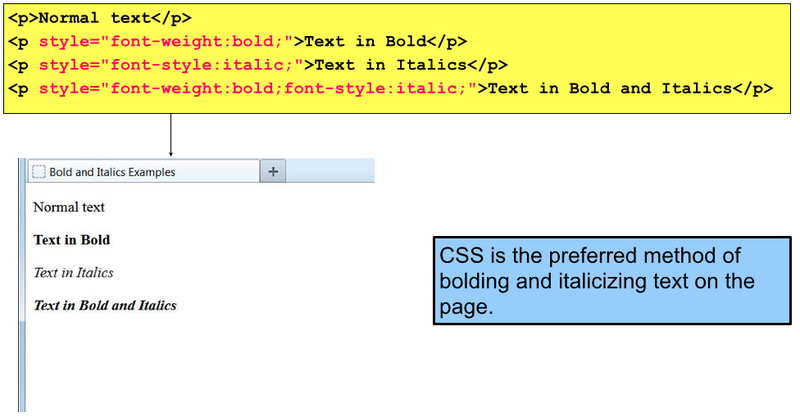 Via CSS, using the “font-weight:bold” and “font-style:italic” styles. By using the <strong> and <em> (“emphasis”) elements. 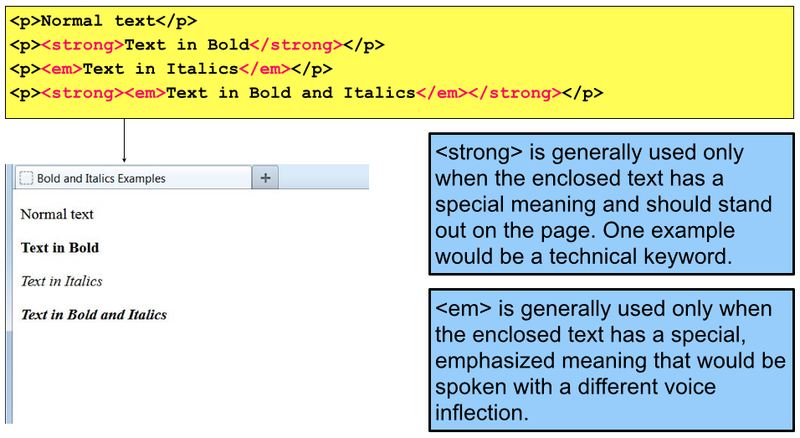 By using the <b> (“bold”) and <i> (“italics”) elements. We will use only CSS to bold and italicize text in this course.